Few improvements add as much punch to a PC as upgrading your graphics card. Here's how. Few upgrades add as much punch to your PC as installing a new graphics card. It can transform your PC from a system that chokes on lightweight games into a monster that churns through even the most visually punishing titles with ease. But you need to get that new hardware up and running before you’re able to bask in enhanced graphics glory. Here's how to upgrade your existing computer with a new graphics card, from basic buying considerations to step-by-step installation instructions. Simply deciding which graphics card you want is a complex and nuanced discussion, as both AMD and Nvidia offer choices for virtually every budget, from sub-$100 options like the Radeon RX 550 to the pricey and powerful GeForce GTX 1080 Ti, some of which sell for more than $700. In general, you want the graphics card that offers the most bang for your buck, though you’ll also want to consider a card’s noise, heat, and power consumption. 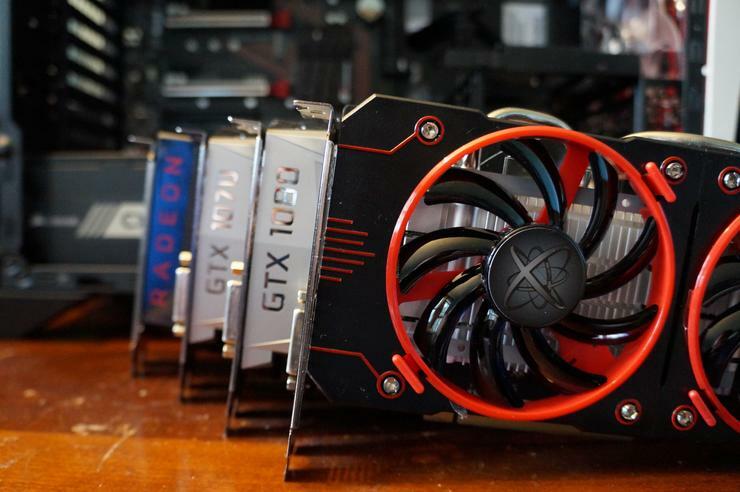 While graphics card recommendations are outside the scope of this article, PCWorld’s massive graphics card buying guide can help you make an informed decision no matter how much money you have to spend. Next make sure your computer has the proper hardware to support your new card. You're going to need a decent power supply if you want to get your game on. 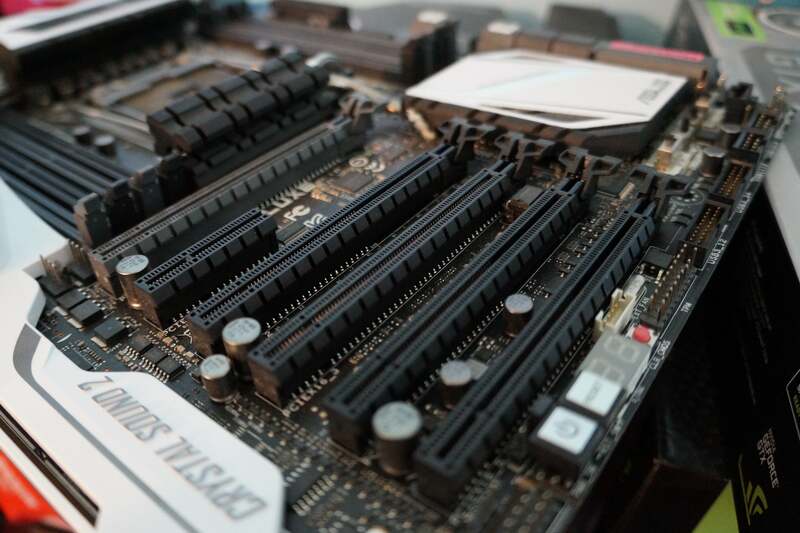 The most common problem that people run into is an inadequate power supply: Either it can't supply enough wattage, or it doesn't have enough available PCI-E power connectors. As a rule of thumb, your power supply should be rated from double the power consumption of your graphics card. For example if you purchased the aforementioned GeForce GTX 1080 Ti—a video card that draws 250 watts—you should have a power supply that can provide at least 500 watts of power and has both 8-pin and 6-pin PCI-E power connectors. To find out how much wattage your power supply pumps out, open your case and look for the standard identification sticker all power supplies have, which lists their basic info. While you're there you can also identify how many 6-pin and 8-pin PCI-E connectors are available. 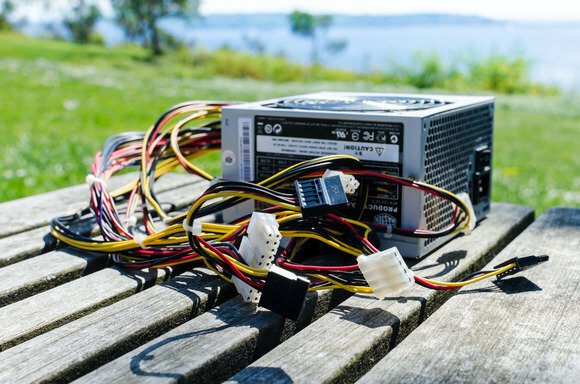 Picking the right power supply is even more important if you’re upgrading to a multi-card configuration, because you’ll likely need to buy a power supply rated for one or more kilowatts. For more on multi-GPU SLI and CrossFireX setups, check out PCWorld’s guide to tricking out your PC with multiple graphics cards. 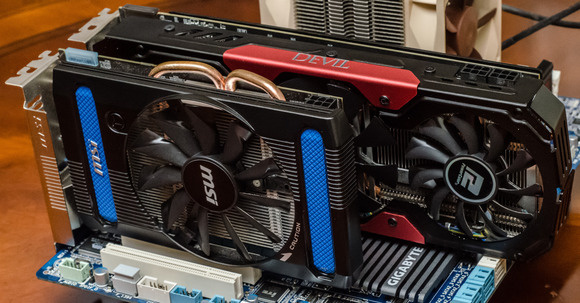 Graphics cards can be drastically different sizes depending on the model and vendor. Finally, is there enough room inside of your case to fit your new graphics card? Some high-end graphics card can be over a foot long, and two or even three expansion slots wide. You can find the physical dimensions for a graphics on its product page or on the manufacturer's website. With all of those questions resolved, it’s time to get down to business. Installing a graphics card is a straightforward process that requires three things: a new graphics card, your computer, and a Phillips-head screw driver. Be sure to turn off your PC and unplug it from the wall before you begin. Unless you need to remove an existing GPU, you first need to locate the PCI-E x16 slot closest to the heat sink of your processor. This will either be the first or second expansion slot on your motherboard. Make sure that there are no loose wires blocking your access to this slot. 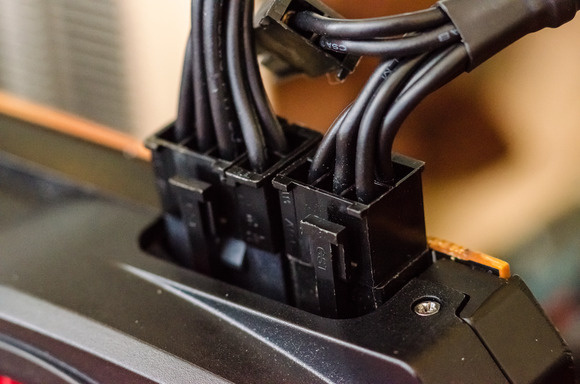 If you’re replacing an existing graphics card, unplug any cables connected to it, remove the screw from its retention bracket on the rear interior of your PC case, and then remove the card. Most motherboards also have a small plastic latch on the end of the PCI-E slot that locks the graphics card in place. Make sure you toggle this latch to unlock your old graphics card so you can remove it. Don't forget to lock the latch at the end of the PCI-E slot after firmly inserting your graphics card! You can now install your new graphics card into the open and unobstructed PCI-E x16 slot. Firmly insert the card into the slot, then push down the plastic lock on the end of the PCI-E slot to hold it in place. Next, use a screw to secure the graphic card's metal retention bracket to your PC's case. You can reuse the same screw(s) that held the cover bracket or your former graphics card in place. She needs more power, Captain! Your graphics card won't run unless you've connected it to your PSU. Most gaming-level graphics cards require additional power connectors. If yours does, make sure you connect those PCI-E power cables. Your graphics card will not function correctly without properly supplied power. In fact, if you don’t connect those PCI-E power cables your PC may be unable to boot. 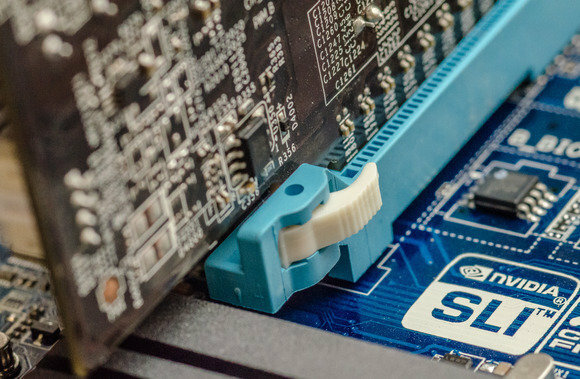 With your graphics card secured and powered up, finish the job by sliding your case's side panel back into position and plugging your display cable into your new graphics card. Turn on your computer. Now it’s time to take care of the software side of upgrading your graphics card. 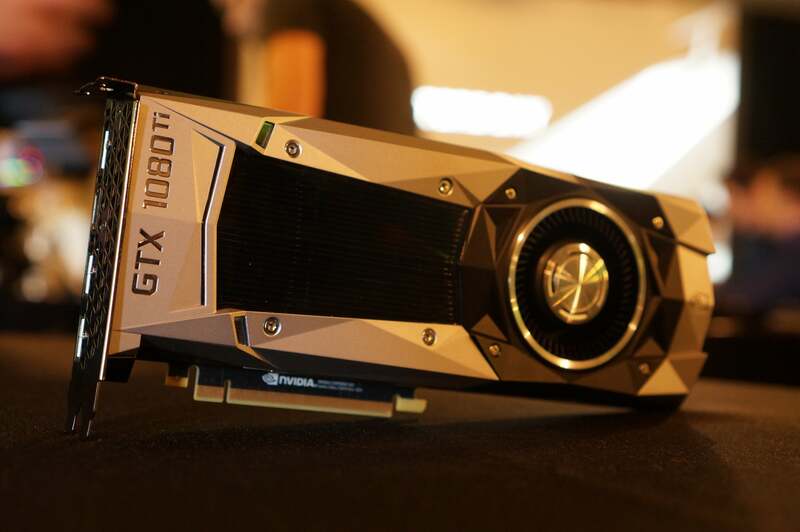 If your new graphics card is the same brand as your old card, this process is simple. Just go to the manufacturer’s website and download the latest driver package for you operating system. Keep in mind that graphics drivers are quite large, generally about 300MB in size, and it make take some time for them to download depending on the speed of your Internet connection. Install the driver, restart your computer, and now you're ready to enjoy the buttery-smooth framerates your new graphics card will no doubt deliver. If you’re switching manufacturers (from Intel to AMD, from AMD to Nvidia, or vice-versa), uninstall your old graphics driver and restart your computer before installing the driver for your new graphics card. If you don’t uninstall the old driver it may conflict with the new driver. Done! That wasn’t so bad, was it? Now that your new graphics card is installed, you're ready to take on the latest games with your upgraded PC. May we make some suggestions?